Monteriva Rossa coffee beans is a true Milanese, the people there are elegant, well-dressed and constantly on the go. When Rossa was developed it was based on that lifestyle. 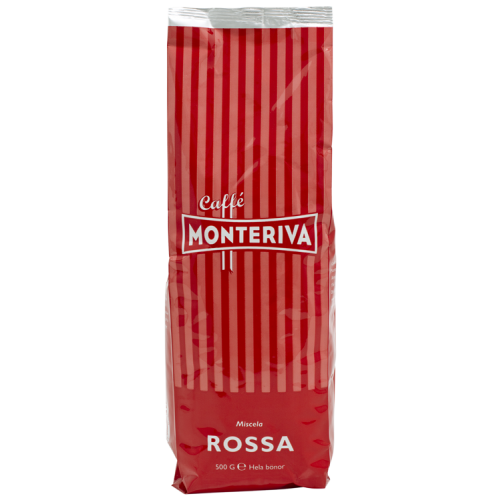 Monteriva Rossa has an intense and saturated flavor that is elegant and complex. Furthermore, as it provides good crema, it has become many baristas favorite coffee. Perfect for both espresso and café latte. Maybe thats why the blend has been winning several prices. Monteriva Rossa is made of 90% Arabica and 10% robusta.